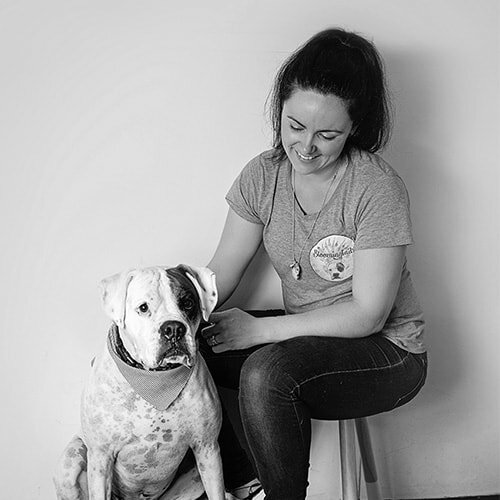 Bloomingtails was established in 2015 by Owner/Director, Candice, through her love of animals and her dream to transform her passions into a successful ethical business. With more than 10 years of combined veterinary nursing and dog grooming experience, including Certificates III and IV in ‘Veterinary Nursing’, a ‘Diploma in Emergency and Critical Care,’ and working as an emergency and critical care nurse at North Shore Veterinary Specialist Hospital, Candice prides herself on providing a professional, happy and calm environment for all dogs and their families. Bloomingtails is proudly based in Lane Cove on Sydney’s Lower North Shore and has a range of natural essential oils vaporising to create a peaceful and relaxed environment. We only use all natural Australian made grooming products with each dog receiving healthy treats throughout the grooming experience. We understand just how much your fur-baby deserves to be loved and respected whilst in our care and our dedicated team look forward to welcoming you and your fur-babies to our boutique grooming salon.